Celebrating the real heroes of parkrun... the volunteers! Show me the roster for the next few weeks! Every parkrun only happens because of the time and dedication of our volunteers. Many thanks to all of them, past and present. We are always looking for new volunteers. This page explains how to get involved. 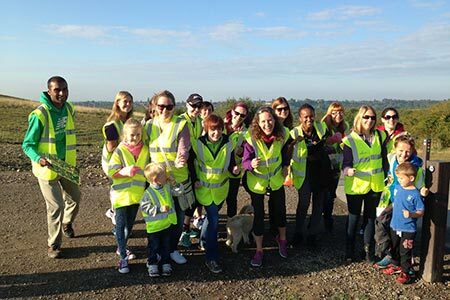 Finding out about Livingston parkrun volunteering opportunities couldn't be easier. Simply open a recent parkrun newsletter, results email or volunteer email, click on 'manage my profile', then 'email options', then select the events you'd like to hear from and click 'save opt-in events list'. You will then receive regular emails from those events letting you know all about their volunteering opportunities. You can see an event's future volunteer roster via their specific future roster page. To get in touch with the event directly, just send an email to livingstonhelpers@parkrun.com. What would I do at the Event? First, and most importantly, we never ask anybody to do anything they're not comfortable with. If you don't want a particular task, please let us know and we will happily give you an alternative job. Nevertheless, none of our tasks are too stressful. You could be organising the finish funnel, operating the timer, or scanning the runners' barcodes with our simple barcode readers; we try to start people out on a general marshalling type job, so they get a feel for how we operate. But if you really want to do something in particular, please let us know and we'll see what we can do. Remember as a volunteer you are the eyes and ears of parkrun. If you have any concerns that arise at a parkrun event, whether involving children or adults, you should discuss those concerns with the Event Director on the day, as soon as possible thereafter or email Head Office at eventsupport@parkrun.com. Do I get my name in lights? We like to recognise and publicly thank all our volunteers, and your name will appear on our home page in the This Week's Heroes section. We also keep a log of what tasks everybody has done. To do this you need to be registered on our system. If you have not registered, it's really easy to do so: just go to the parkrun registration page and fill in the simple form. Livingston parkrun happens largely because of our fantastic volunteers, who are almost all regular runners like you. The weekly team of volunteers are led by a small group of parkrun enthusiasts who form what we call the 'core team': They make sure the event is setup and packed away each week, the results published, the tokens resorted, event reports written and so much more. We're very grateful to the help provided by everybody, both now and in the past, who've helped make Livingston parkrun happen. Please opt-in to the volunteer email if you'd like to join us and get involved!